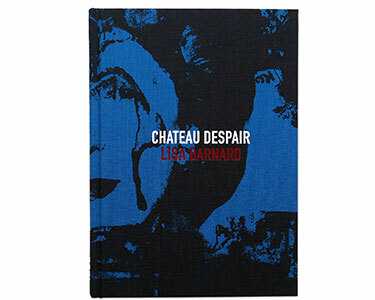 Chateau Despair includes series of photographs taken inside the abandoned Conservative party headquarters at 32 Smith Square, Award-winning artist Lisa Barnard, was granted access to the abandoned site in 2009 and documented the building and found objects. 32 Smith Square was Conservative Central Office from 1958 to 2004 and is synonymous with Margaret Thatcher smiling and waving out of the window on the 2nd floor after winning the elections of 1979, 1983 and 1987. However, by 2004 the building became known as ‘Chateau Despair’ to its inhabitants, prior to the Conservatives’ move to Victoria Street. They left behind a mausoleum containing nearly 50 years of their political history, etched on its surfaces and discarded in its corners. 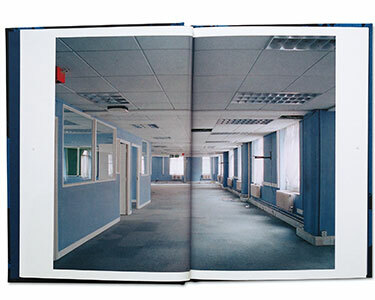 Chateau Despair features previously unseen photographs of the interior documenting the dulled shades of corporate blue, stained carpets, peeling paintwork and discarded iconography of past alliances. Carefully choreographed portraits of a smiling Thatcher, unearthed in an old cupboard, punctuate the book, jarring with the shabby interior. 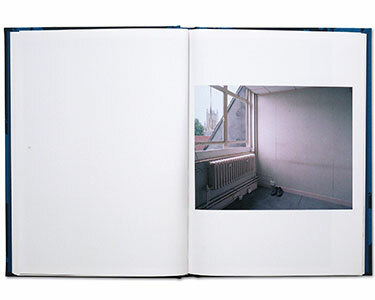 The book also includes photographs of the objects, or remnants, Barnard found in the building including a blue rosette, an internal envelope, an ornate silver spoon, a balloon and a strip of film negative. Lisa Barnard is a photographic artist who lives and works in Lewes, East Sussex, UK. Of particular interest to Barnard are current debates concerning psychological and post-Marxist aesthetic theories, the political climate and Revolutions in Military affairs. Her work has been included in several exhibitions and she was the winner of the Albert Renger-Patzsch European Book Award 2012 and was shortlisted for the New Discovery Award, Arles, 2015. 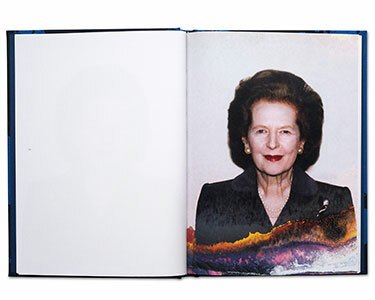 Her 2nd monograph, ‘Hyenas of the Battlefield’ was published by GOST in 2015.